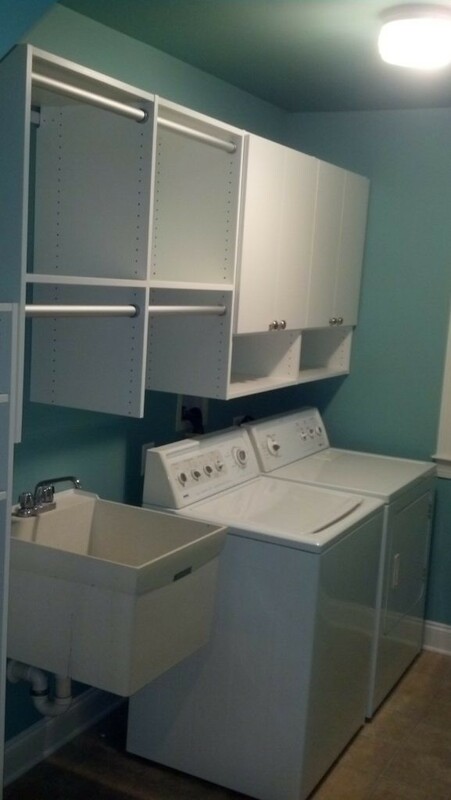 Create a pleasant laundry room! 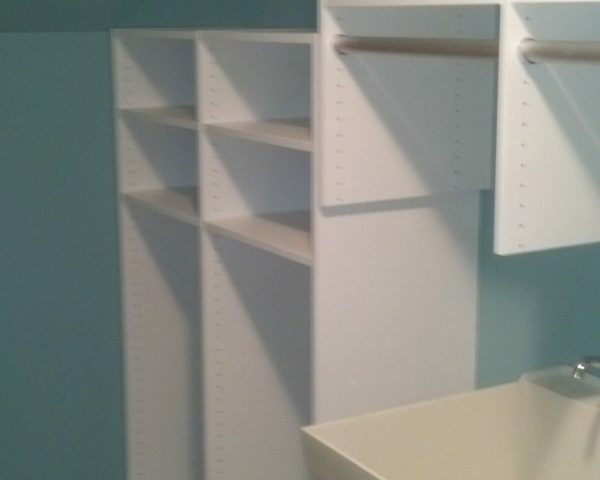 Enjoy a fully functional workspace. 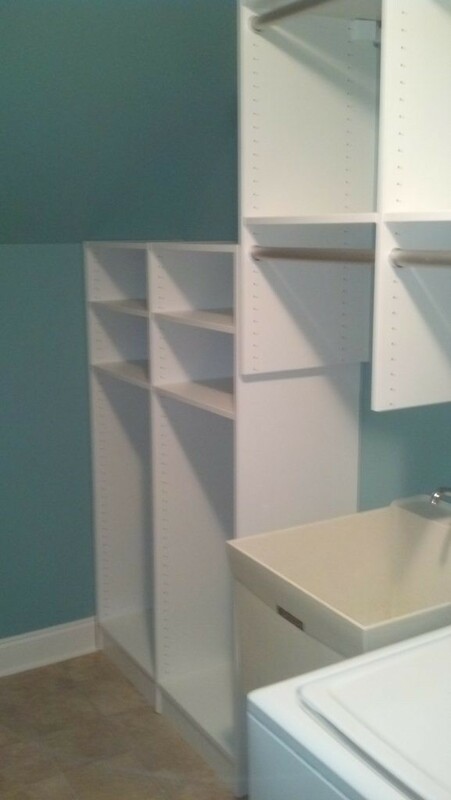 Custom doors can enclose shelving. 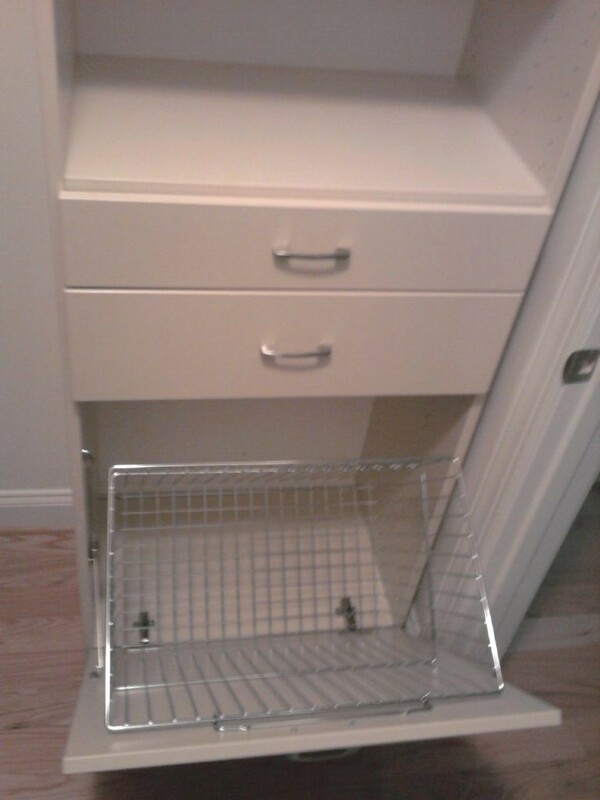 Deep baskets for laundry sorting. 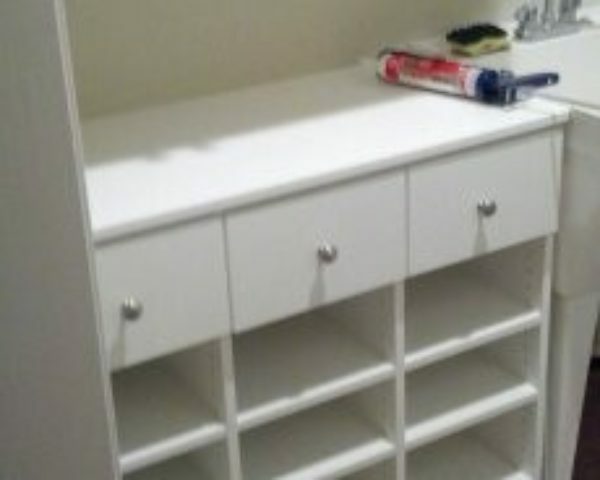 Touch up fold-out ironing board. 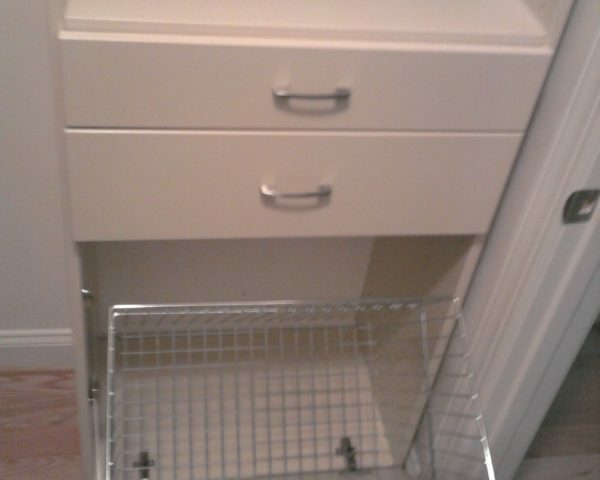 Chrome baskets with optional canvas liner. 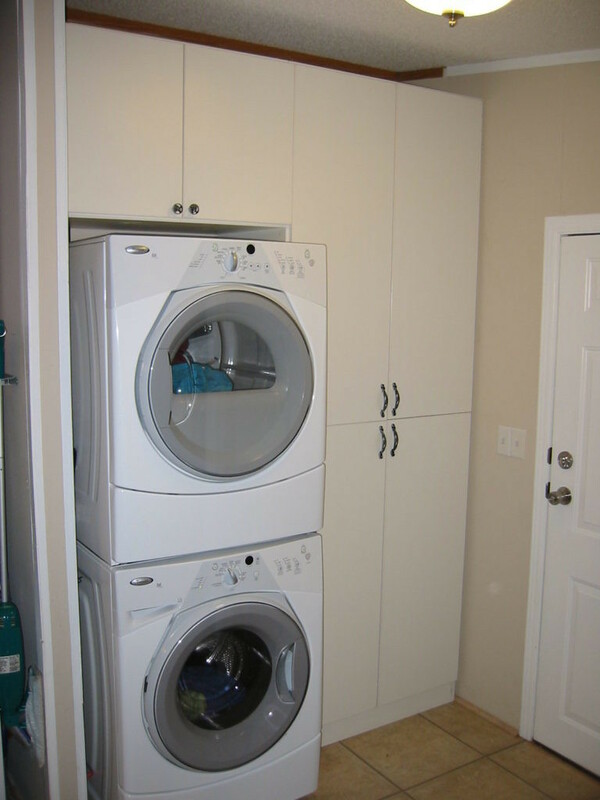 Contact our Design Expert today for your Free Consultation. 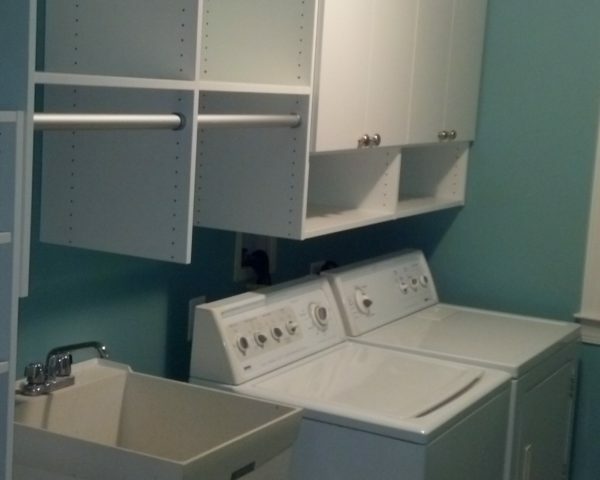 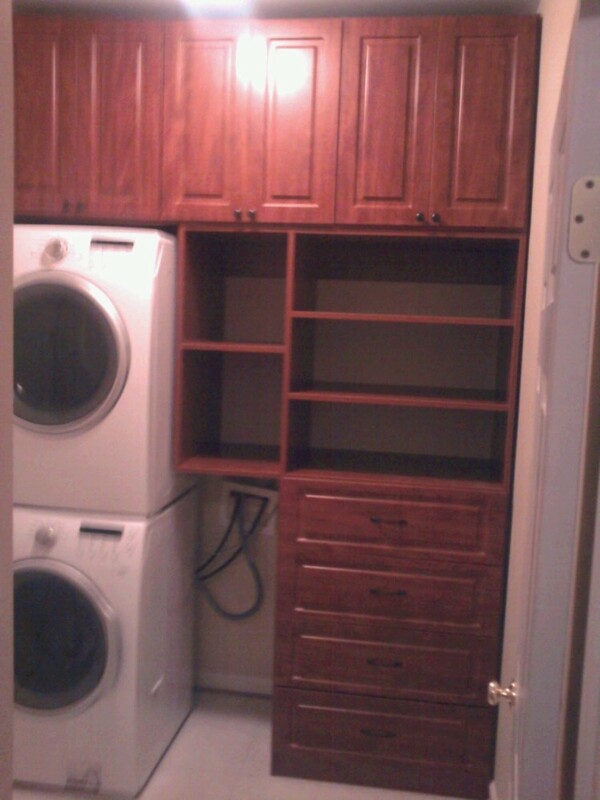 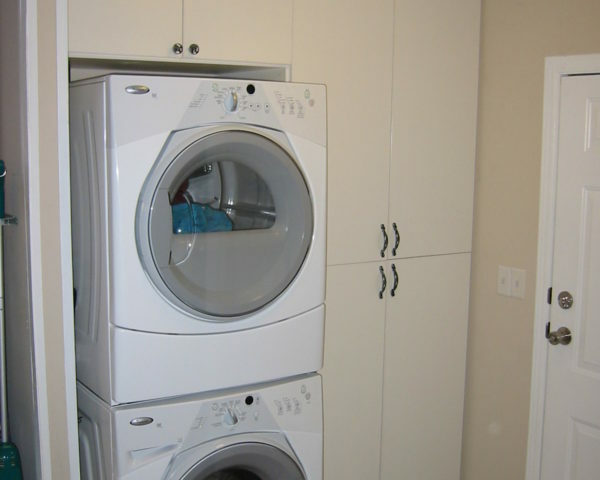 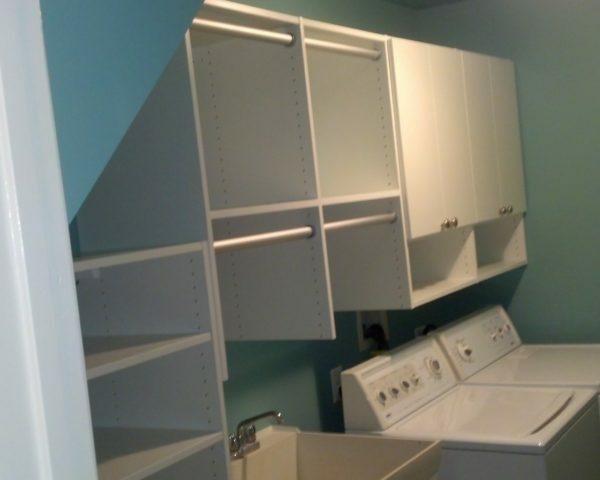 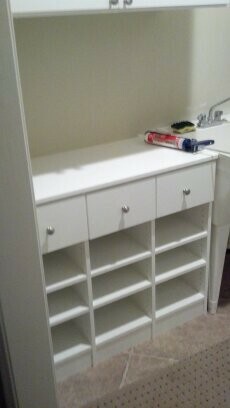 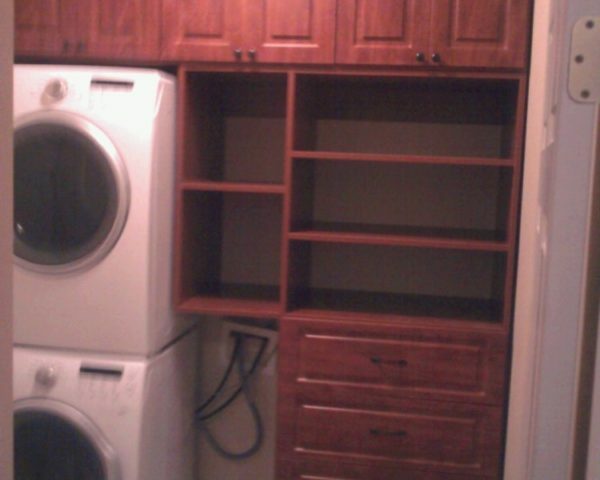 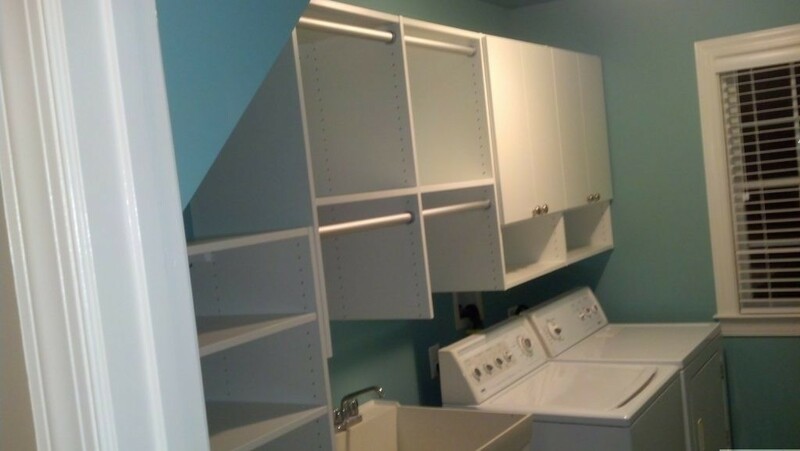 Laundry room storage custom installed by Just Closets of Northern Virginia.